Drouot is one of a select group who were present at both the Battle of Trafalgar (1805) and the Battle of Waterloo (1815). 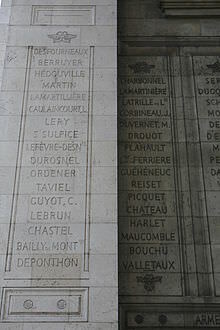 Drouot’s name is inscribed on the western pillar under the Arc de Triomphe. Born in Nancy, France, the son of a baker, Drouot trained as an artilleryman and took part in the battles of the French Revolution where he rose through the ranks and was a captain of artillery at the Battle of Hohenlinden in 1800. Later he had an illustrious career in the many battles of the Empire, notably, Wagram (1809) and Borodino (1812). For his conduct at the battles of Lützen, Bautzen in 1813, where he commanded the artillery of the Imperial Guard, he as made a general of division and aide-de-camp to the Emperor Napoleon. Drouot was with Napoleon during his exile to the island of Elba (1814–1815), who made him governor of the island. He accompanied Napoleon back to France in 1815 and was with him at the start of the Hundred Days. 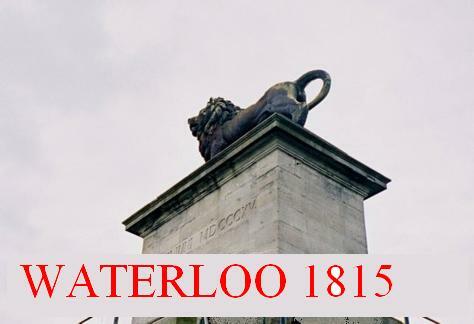 He was with the Imperial Guard for the Waterloo Campaign, and on the eve of the Battle of Waterloo he took command of the Imperial Guard when Marshal Mortier who would generally assume command fell ill with sciatica, He was with Napoleon when at the end of the battle just before the route when Napoleon briefly took command of a square of grenadier Guards, near Decoster’s house, and left the field with Napoleon. 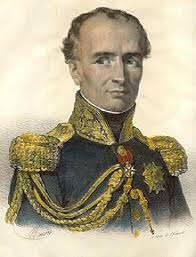 Later in the campaign (after Napoleon had abdicated for the second time), he was commandant of the Imperial Guard in Paris. After the surrender of Paris and the restoration of King Louis XVIII, Drouot stood trial for treason in which he defended himself skilfully. He was acquitted and granted a state pension. In his retirement he did what he could for the veterans of the Imperial Guard and died in 1847.